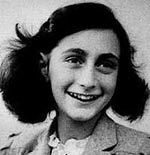 Anne Frank (1929-45) was a young Jewish girl who perished in the Holocaust. During the Second World War her family were forced to hide from the Gestapo, and in the cramped conditions, she kept a diary of her experiences and thoughts. 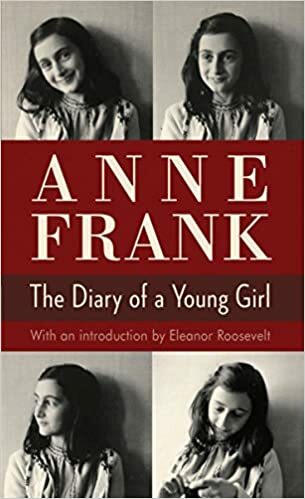 After the war, her father Otto Frank discovered her diary and, struck by her maturity and depth of feeling, published it – originally under the title ‘Diary of A Young Girl‘ – later as “Diary of Anne Frank”. Anne Frank’s diary has become one of the most famous records of the Holocaust and has helped to give a human story behind the dreadful Holocaust statistics. Anne Frank was born on 12 June 1929 in Frankfurt, Germany, In 1933 (the same year as the Nazi’s rise to power) her family moved to Holland, where her father ran a successful business. However, after the fall of Holland to the Nazi’s in 1940, the Jewish population experienced ever increasingly repressive measures. Finally, to escape arrest, Otto Frank took his family into forced hiding, behind one of his business premises in the heart of Amsterdam. Her family were later joined by the Van Pels family who were also trying to avoid arrest. Anne’s diary tells of the difficulties of living in a confined space with so many people. The atmosphere was at times suffocating, but despite the hardships and challenges of her situation, she also expressed her optimism and positive view of life and a natural joie de vivre. 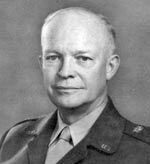 Unfortunately, on August 4th, 1944 (with the Allies closing in on a retreating Germany army), an anonymous source gave a tip off to the German secret police. The families were arrested and sent on the last convoy train to Auschwitz. After surviving the selection process (most people under 15 were sent straight to the gas chambers), Anne was selected to be sent to Bergen-Belsen concentration camp. It was here that Anne contracted typhoid fever and she died in March 1945, just one month before the camp was liberated by the advancing Allied armies. Except for her father Otto, all her family died in various concentration camps. After the war, Otto returned to the place where they had hidden for two years. It was here that he found Anne’s diary and he decided to try and get it published. Her diary was published in 1947 and, following a glowing article by Jan Romein in the newspaper Het Parool, became a best seller with people fascinated by her writing and what she managed to convey in the most difficult of situations. Her book has become an important symbol of how innocent people can suffer from intolerance and persecution. Citation: Pettinger, Tejvan “Diary of Anne Frank”, Oxford, www.biographyonline.net, 2nd Feb 2017. Women who changed the world – Famous women who changed the world. Features female Prime Ministers, scientists, cultural figures, authors and royalty. Includes: Princess Diana, Marie Curie, Queen Victoria, and Catherine the Great. This article was some what great and sad I have no words for it. This was amazing!!!!!! Thanks for the help!!! My words have very limitations to express my feelings when I was reading the book.Then who can imagine her feelings while they lived in the hiding place and after they were caught. anne frank was a wonderful person. Very helpful in my research.